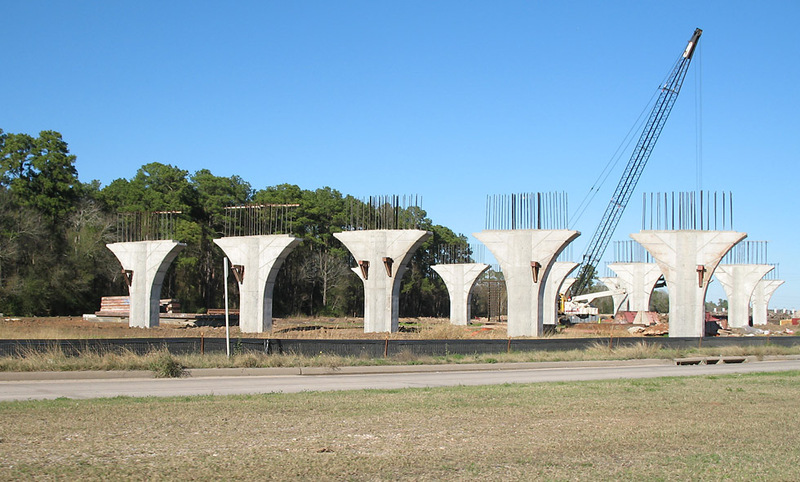 Work is now underway on the full length of the Crosby Freeway (US 90) between Loop 610 and Beltway 8. 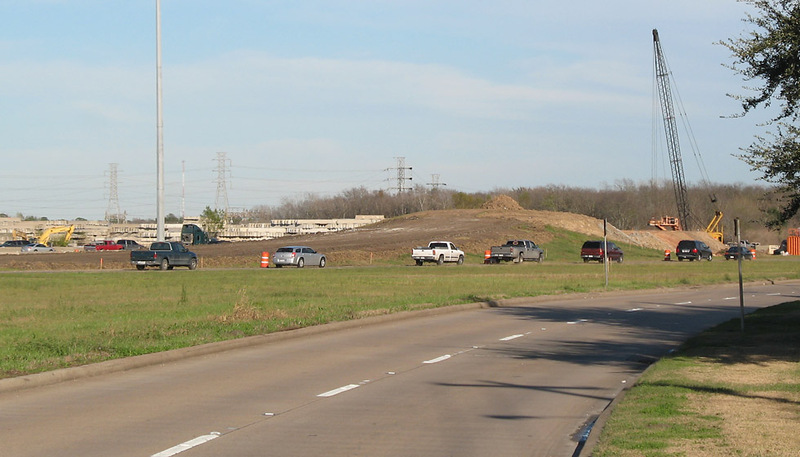 There will also be new connection ramps at Loop 610. 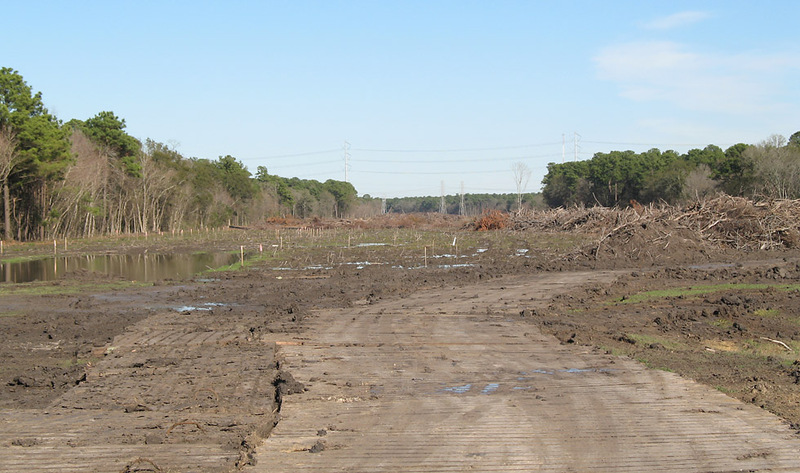 As of December 23, 2006, most the route was in the right-of-way clearing phase. 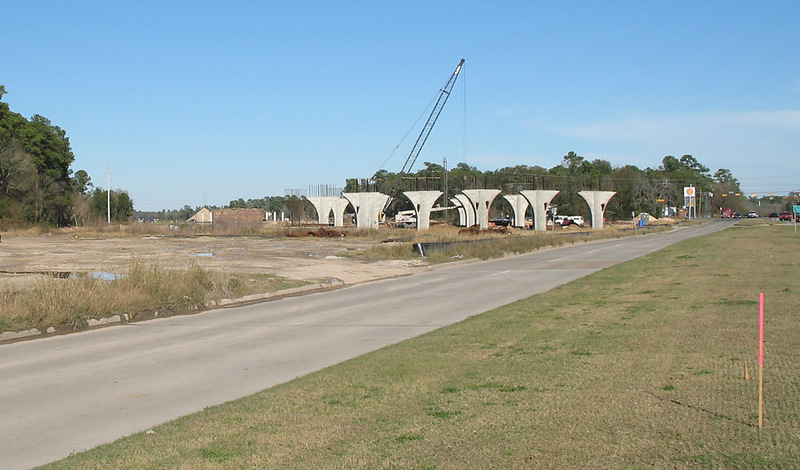 However, some piers are already up along CE King Parkway and new pavement is on the ground near Beltway 8. These photos start at the west end and proceed northeastward. 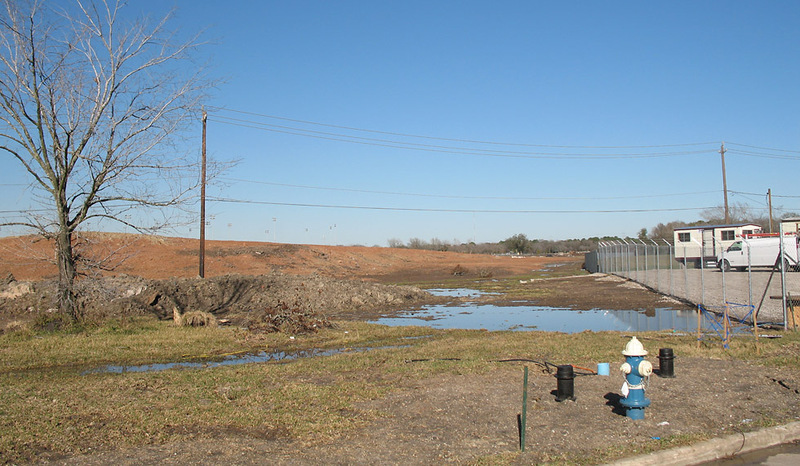 At the western end of the project at the Loop 610/IH-10 interchange, work is just underway on the embankment for the ramp to eastbound US 90. At Oates road embankment is being piled up for the overpass. 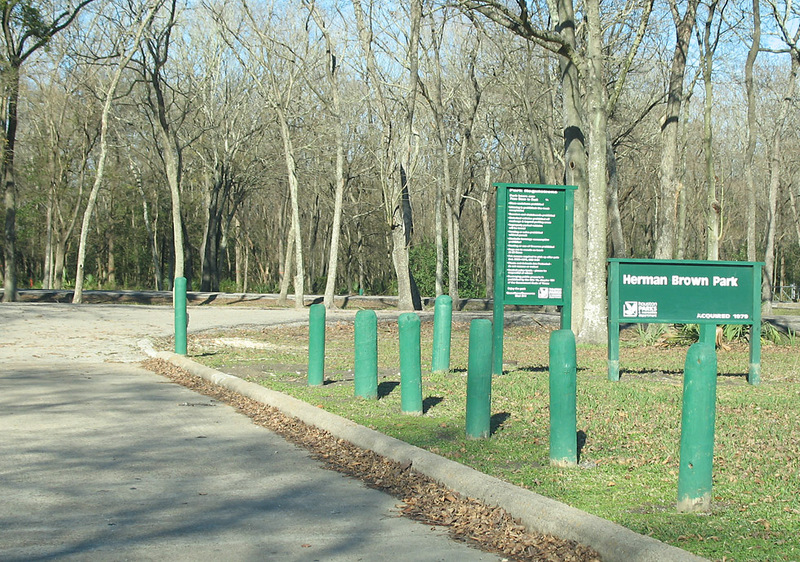 Starting at Oates Road, the freeway enters Herman Brown Park. This park was donated to Houston in 1979 by Brown and Root (which I think is now Halliburton). The freeway right-of-way is fenced off in the park. To the left of the fence is a playground area. Barely visible in the photo is some vertical rebar. It looks like the freeway will be elevated at this point. 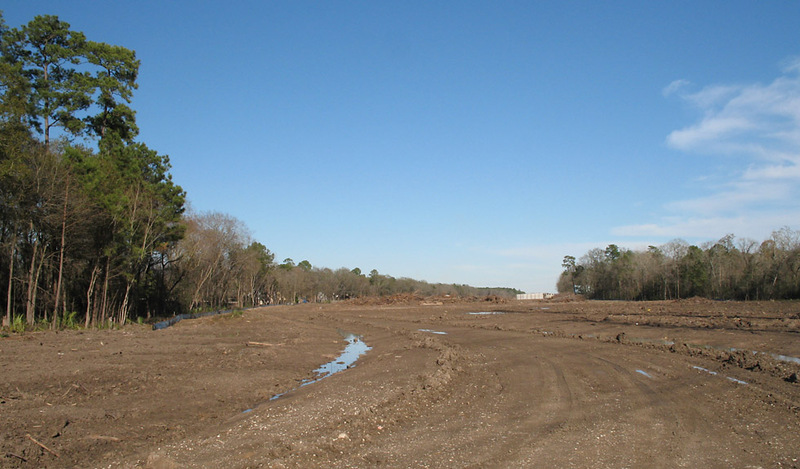 This view shows the cleared right-of-way in the park. Another view of the cleared right-of-way. A zoomed view at the same location. 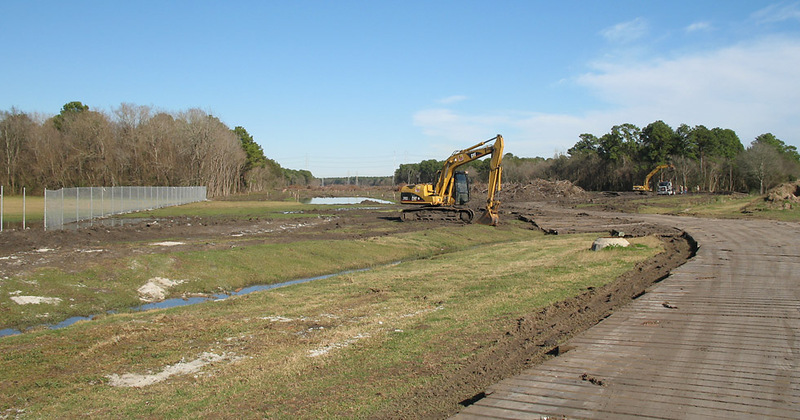 Piers are already up at the Wallisville road crossing. At this point the Crosby Freeway has existing frontage roads which are shared with the C.E. King Parkway. The frontage road section is less than a mile long. A closer view of the piers. 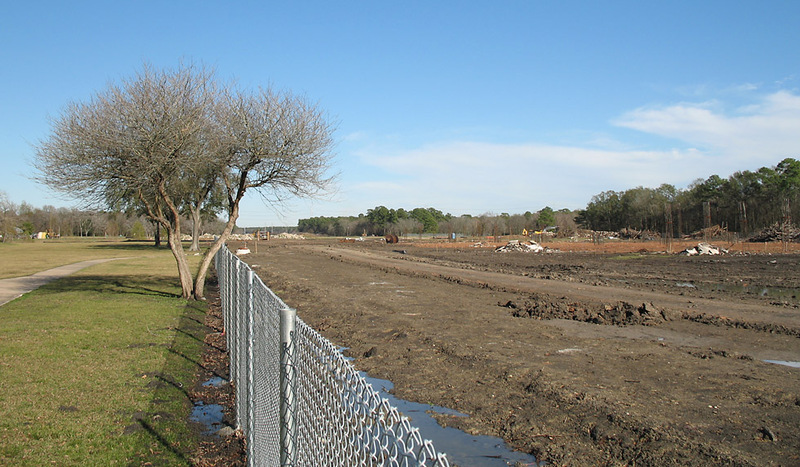 This view looks northeast along the existing frontage road section. A stockpile of aggregate in the median. After the short existing section, the freeway veers away toward the east. The looks along the cleared right-of-way. This view looks southwest at Beltway 8. 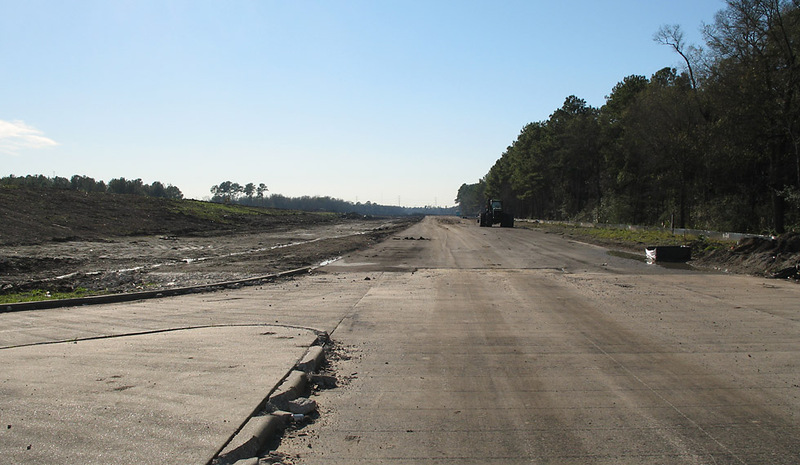 Pavement for the frontage roads is already on the ground.